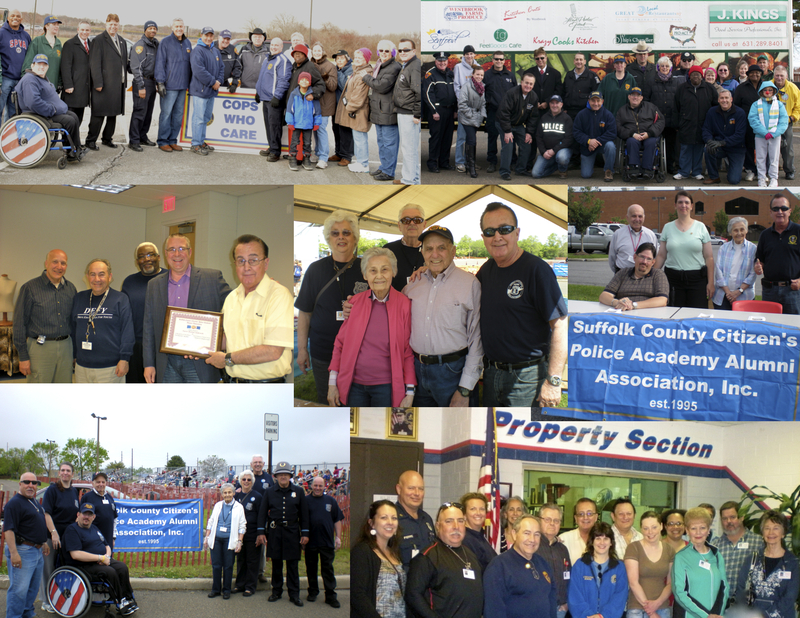 All meetings are held at the Suffolk County Police Academy, 502 Wicks Road, Brentwood at 7:00 PM, unless otherwise advised. Executive Board Meetings are usually held the third Wednesday of every other month at 6:00 PM, starting in January: January 15th, March 20th, May 15th, October 16th. Regular member meetings are usually held the third Wednesday of every other month, starting February: February 20th, April 17th, June 19th, September 18th, November 20th. There are no Executive Board or Regular Member meetings in July or August. Civilian Police Academy gears up for another class. SCPD – Second Precinct Community Meeting on January 8, 2019, presented by Inspector William Scrima. Membership dues for 2019 are now due and must be paid prior to March 1, 2019 in order to vote in the April elections. 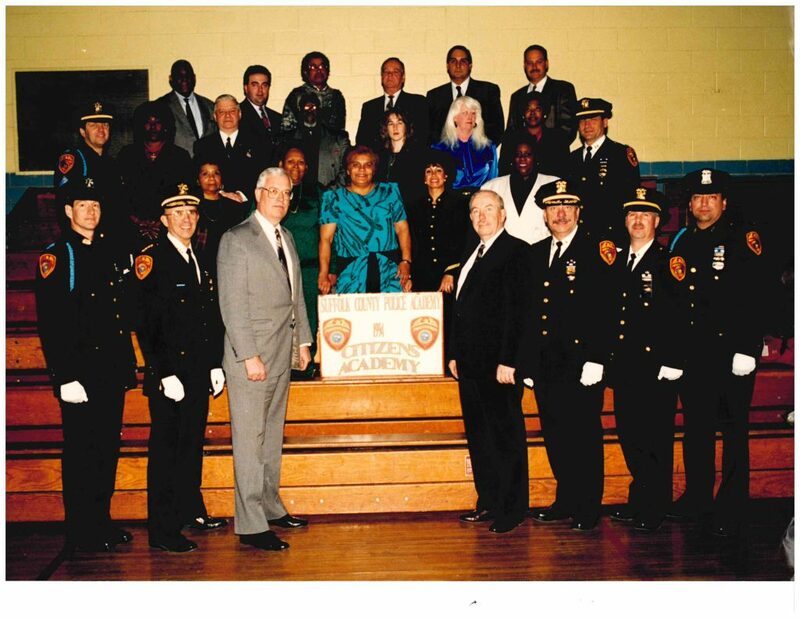 Thanks to Howard M. Kipnes for finding a picture of the first Suffolk County Police Department Citizens Academy Graduating Class, from 1994. Some of you probably remember some of these alumni members.